Osaka has been a gathering place since ancient times. It is rich in culture and has approximately around 1400 years of tradition. Osaka was located among busy river and sea routes, so it naturally grew into a flourishing economic center and became the gateway for traders also travelers from Asia. 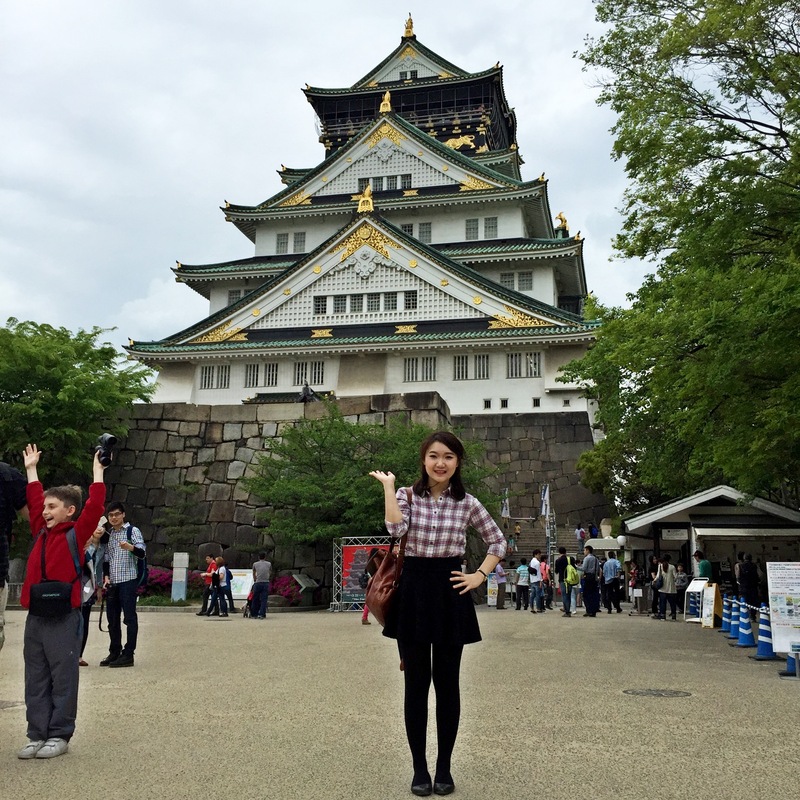 Due to its rich history, you certainly have to visit Osaka if you come to Japan. I went to Osaka from Tokyo, and used my 7 day JR Pass. You can took all bullet train for free if you have a valid JR PASS, except Nozomi and Mizuho trains. 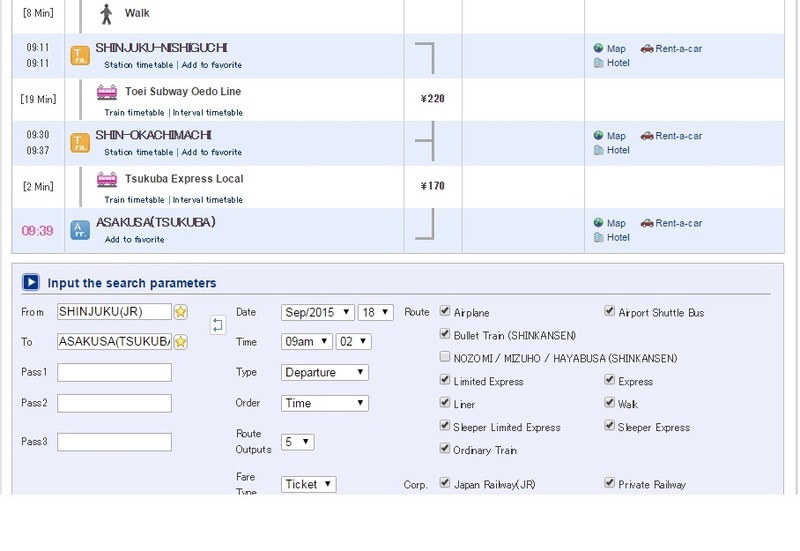 You will get charged if you use these trains, so it is better to check the train schedule in Hyperdia, you can untick Nozomi and Mizuho trains. 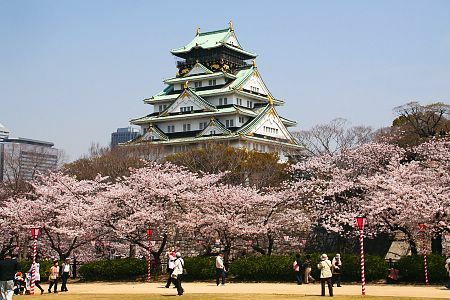 Osaka Castle is known as Ōsaka-jō. It is a Japanese castle in Chūō-ku, Osaka. The castle is one of Japan’s most famous landmarks. It played a major role in the unification of Japan during the sixteenth century of the Azuchi-Momoyama period. If you travel using JR PASS, then your last stop should be Tanimachiyonchome Station, follow the exit that leads to Osaka Castle Exit, and you will need to walk around 15 – 20 minutes to reach the castle. Ōsaka-jō best time of visit is in the Cherry Blossom season. You could enjoy the Mankai the best here because there are a lot of cherry blossoms grow in the castle. I stayed in Dormy Inn Shinsaibashi while I was in Osaka. The hotel is accessible to subways and very convenient because restaurants and cafe are everywhere on the street. 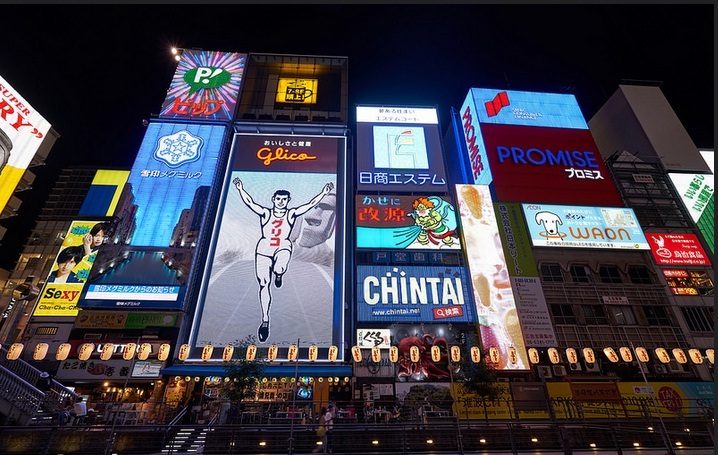 Dotonbori is often selected as a scene in the Japanese and foreign movies as the symbol of Osaka, and is definitely very alive at night. Stores in Dotonbori are different because they gave me a ‘being in Japan’ feeling. The stores are not very traditional, as well as not too modern. A feeling that is totally different from any part of the world. You could enjoy vary kinds of local dishes here, also do some shopping of Japan products, such as Japanese make up, Kit Kat chocolate in Matcha Flavors, and many more. 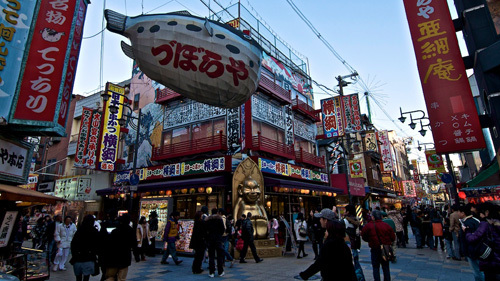 Dotonbori Namba is not small, so it is wiser for you to bring a guide map, you may ask for them in your hotel reception. These experiences took place in Spring, April 2015, Osaka, Japan.